I have this thing, this quirk you might say. When I get interested in a book, a movie, a literary character, a created world and so on, I am interested in the workings of how and why it was created. I probably have more non-fiction books on the history and makings of fictional worlds, characters and movies than I have fiction books now. But there's one that has always eluded me. 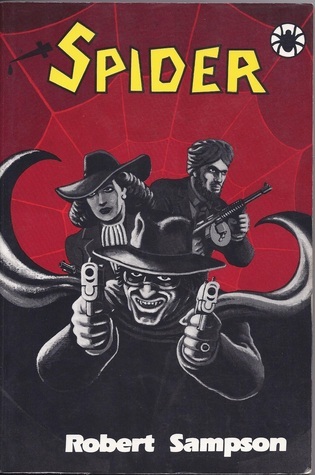 And that was Robert Sampson's seminal work on the pulp hero The Spider. Published in 1987, over the next decade it disappeared off of booksellers' shelves. I searched literally for years to find that book (at a sane price). Even at insane prices it was not easy to find. 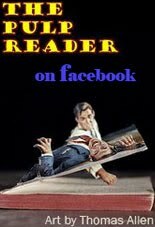 Thanks to a heads up by Lucas Garrett about some Spider books on ebay, and some news via Ralph Grasso at at the Spider-Master of Men FB page, two things have come to light: One is that it seems many soft and hard backs of the original 1987 printing have recently turned up at online bookshops. I don't know why this has happened. I've emailed Popular Press about it so if they know why then I'll amend this post with the answer. As fate would have it (and fate always has it this way doesn't it? ), literally as soon as I had happily, even gleefully, purchased SPIDER for $13 plus shipping, Ralph G mentioned a new edition would be coming out in the near future from Black Dog Books. This edition will not have new written content but will have editorial fixes and added pics of magazine covers and illustrations. No price or release date is set yet. Black Dog Books has some other rarities and surprises dear to the heart of The Pulp Reader coming up soon. 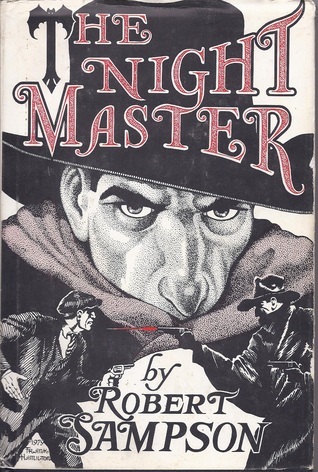 There is another Robert Sampson pulp treatise reprint coming up based on The Shadow called THE NIGHT MASTER which will also be expanded with pics and cover scans. Also they are collecting selected later tales of hard-boiled Pulp Reader favorite Carroll John Daly. 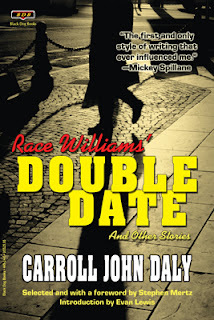 This tome will include four previously uncollected Race Williams tales, one Satan Hall and a few others. Obviously, I've been away from the blog for a while. I have been what you might call... busy. But I've not abandoned you, dear Reader.